Founder and editor at large of the Weekly Standard, Bill Kristol talks about President Trump (and #NeverTrump), globalism, Cuba, the media, Obamacare, messaging, and why Trump could be another Warren G. Harding administration. Chris Garcia – Trump Advisor & State Dept. Advisor to President Trump’s National Diversity Coalition, US State Department’s Chris Garcia discusses how leftist identity politics has impacted the Latin American community as well as upcoming trade policy and the border tax. During his tenure at Judicial Watch, Freedom Watch USA’s Larry Klayman obtained a court ruling that Bill Clinton committed a crime, the first lawyer ever to have done so against an American president. We discuss Larry’s new cases suing President Obama over the NSA, CNN over media bias, and Black Lives Matter over the deaths of policemen. Now for something completely different. Young Phoenix Legg started his “career” reporting on American politics during the presidential debates of 2016. He’s covered rallies, protests, and conventions, doggedly chasing down interviews and showing more maturity and integrity per pound than any reporter on the network news. We were so impressed that we set aside time to get his story where he shares his thoughts on the current state of political media. Phoenix has a blog worth checking out where he takes on social justice warriors, protesters, and “ignorant folks who say hateful things.” Bravo to Phoenix and his Father Matt. Dave caught up with everyone’s favorite Irish journalist duo NY Times best selling author and film makers Ann McElhinney and Phelim McAleer to discuss the Gosnell case, book and upcoming movie. To see videos pull up a chair at WhiskeyPolitics.net. Alexandra Levine heads “Jews For Trump’ and “Women for Trump’ and discusses Israel and the challenge for Conservative Jews. Stand up comedy is easy when the left writes its own jokes, yet conservative comedians are a rare, courageous breed. Evan Sayet (writer for Bill Maher and others) discusses his new movie A Deplorable Mind, now on Amazon. Comedian and filmmaker Evan Sayet explains why HBO won’t allow conservative comedy. Shout out to David Deeble! How the Trump Administration can reduce the power of the regulatory state. 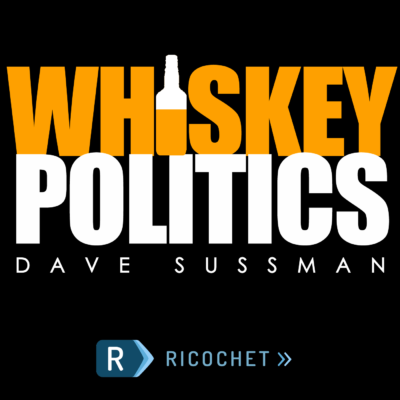 Follow Dave Spady on Twitter @DavidSpady and Dave Sussman @DavidSussman and WhiskeyPolitics.net. Ricochet’s Dave Sussman and Weekly Standard’s Larry O’Connor spar over Weekly Standard, CPAC, Trump and the future. Bill Whittle from Turning Point USA, Millennials, and Culture. Turning Point USA’s Bill Whittle and Dave Sussman discuss Generation Z and the challenging, changing culture during a boisterous CPAC 2017. Larry Paul Arnn is an American conservative educator, writer and philanthropist. He has served as the twelfth president of Hillsdale College in Hillsdale, Michigan. Arnn has been a trustee of the conservative Heritage Foundation since 2002. In 2012 it offered its presidency to Arnn, who decided to stay in academe instead. National Reviews Jim Geraghty and Whiskey Politics’ Dave Sussman talk about predictions of 2016, left wing lunacy, Obamacare and what President Trump should stop doing. Retired Army Infantry colonel and Townhall senior columnist Kurt Schlichter shares the hilarity of journalists’ reactions to Trump at CPAC 2017 as well as other key political insights. Matthew Continetti is editor in chief of the Washington Free Beacon. Prior to joining the Beacon, he was opinion editor of the Weekly Standard, where he remains a contributing editor. The author of The K Street Gang: The Rise and Fall of the Republican Machine (Doubleday, 2006) and The Persecution of Sarah Palin: How the Elite Media Tried to Bring Down a Rising Star (Sentinel, 2009), Continetti’s articles and reviews have appeared in the New York Times, Wall Street Journal, Financial Times, Los Angeles Times, and Washington Post..
On the eve of Donald Trump’s inauguration, Russian Dissident and now all-American Political Artist Roman Genn (and also principal artist and contributing editor to National Review magazine) discusses Russia, political correctness, leaving Afghanistan, President Obama’s departure, and Roman’s art. Beyond NR, Roman Genn’s political art has been featured in numerous publications including Los Angeles Times, the New York Times, Wall Street Journal, Washington Post, Chicago Tribune, and many others. We caught up with Emmy Award-winning CBS and ABC political news reporter and editor Linda Breakstone who covered Presidential elections dating back to the Reagan years. Her wealth of knowledge and experience made this discussion far too short. Get the inside scoop on fake news, polling, and why Linda no longer trusts the media when it comes to political reporting. How would you feel being labeled “Dr. Evil” in USA Today, which is then repeated across national media including a 60 Minutes interview? When you fight against drinking and driving laws, smoking regulations, tanning bed restrictions, motorcycle helmet laws, minimum wage increases and of course unions, you can be called many things and for the most part none of them kind. Meet Rick Berman, a lobbyist public affairs advocate whose successful firm Berman and Company most recently worked for the Trump Campaign (after working for Ted Cruz during the primary). If you haven’t seen the 2006 movie Thank You For Smoking you missed one of Hollywood’s better films detailing (in a humorous and entertaining way) free speech, individual choice and libertarian philosophy. It’s been said the movie, based on Christopher Buckley’s book of the same name, portrays Rick Berman who has testified before numerous committees of various state legislatures, the U.S. Senate and the U.S. House of Representatives. In this interview we discuss the issues Rick’s firm works on to “change the debate”, his role in the 2016 election and the media hits he’s taken (and welcomes) including 4 straight nights of being attacked on Rachel Maddow‘s program to which he responded by flying up on his own dime and defending himself on live television. Michael Graham: Is Talk Radio Dead? What’s the future of talk radio and how can Conservatives counter-balance biased media while attracting the next generation of voters? The loquacious and hilarious Michael Graham’s background was in stand-up comedy, he coordinated several Republican campaigns including Pat Buchanan’s 1992 Presidential run, and was a talk radio host with millions of listeners in New England on WTKK and Washington DC on WMAL. Graham has appeared on Real Time with Bill Maher, The O’Reilly Factor, Hardball with Chris Matthews, Fox & Friends, and the Dr. Phil Show. Michael is now a writer at Washington Examiner and Creative Director at The Weekly Standard where he writes and hosts several podcasts. As posted at Ricochet. Earlier this year Stephen F. Hayes was featured on the Ricochet Podcast (@43m.) and partly defended his Never Trumpiness by sharing uncomfortable discussions with his children. So, what did he say to his kids after Trump won and how does he feel now? During this transparent interview Steve also talks about free markets, crony capitalism, repealing Obamacare, regulations, and the 3 reasons why the Obama administration should be considered an abject failure. Stephen is (the new) editor in chief of The Weekly Standard and author of two New York Times bestsellers: Cheney: The Untold Story of America’s Most Powerful and Controversial Vice President and The Connection: How al Qaeda’s Collaboration with Saddam Hussein Has Endangered America. He is a regular Fox All Stars panelist on Special Report with Bret Baier. Before joining The Weekly Standard, Hayes was a senior writer for National Journal’s Hotline. He also served for six years as Director of the Institute on Political Journalism at Georgetown University. His work has appeared in the New York Post, the Washington Times, Salon, National Review, and Reason. He has been a commentator on CNN, The McLaughlin Group, the Fox News Channel, MSNBC, CNBC, and C-SPAN. Before becoming editor in chief, Hayes long served as a senior writer at The Weekly Standard. A graduate of Columbia University Graduate School of Journalism and DePauw University, Hayes was born and raised in Wauwatosa, Wisconsin.